← Straw Dogs Trailer – Clueless Cash-In or Honourable Homage? As we enter the summer movie period with the release of Pirates of the Caribbean: At Worlds End, the hype begins in earnest for the season’s biggest blockbusters. Possibly the biggest of them all is one that a couple of years ago I vowed I would never see. As I sat at the IMAX in Waterloo flabbergasted by the nonsense I saw before my, I made a decision. I would never watch another Michael Bay Transformers movie. I was completely serious. 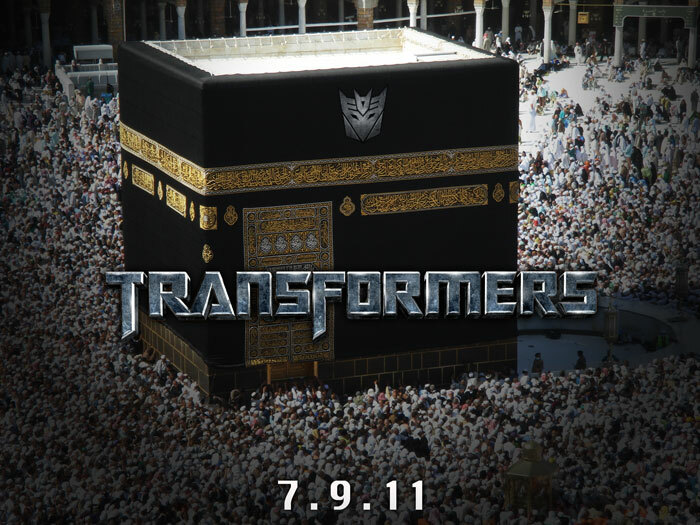 It was one of the few occasions I felt personally insulted by a movie.Why was I so offended by Transformers 2? Was it the racial stereotyping? Well, yes, that was definitely offensive. Was it the presence of Shia LaBeouf? Yes, of course that was a factor. Was it the disappointment in watching the fantastic John Turturro in possibly the worst role of his life? Certainly. The feeling, however, goes a little deeper than all that. Incomprehensible action scenes, a teleporting robot, slapstick humour and ’emotional’ scenes devoid of any genuine feeling. It was simply one of the worst films I had ever seen. By the time Sam Witwicky had done a Bay trademark slide to the floor in slow motion, I had to resist every urge to leave the cinema. So why have I changed my mind? Several reasons, really, and it has been a slow process. It began when casting began for Dark of the Moon. When the likes of Frances McDormand, Alan Tudyk and the brilliant John Malkovich were cast, my interest perked up a little. Not just because they are such great actors, but because for them both to sign on to such a movie, something must have given them some confidence the next installment wouldn’t be as much of a shamble as the last one. Then came the apologies. Yes, both Director Michael Bay and Shia LaBeouf have gone on record saying the last film was bad, and that they would learn from the mistakes that had been made. Now, it is easy to hold your hands up once all the money has been made on a film, but with a new film on the slate you must have confidence that review scores will win back the fans you have jaded by admitting quality control was lost. When a director like Bay admits he was wrong, a filmmaker so financially successful he must have a pretty free rein in anything he does, you have to take notice. So the question is, can Bay really change? When you go to his movies, you know what to expect. Can he go from the vapid, racially insensitive and misogynistic Transformers 2, to a genuinely entertaining Transformers 3 in one easy step? The initial signs are good. I hate silliness in movies that are not meant as comedy, and reports that Sam Witwicky’s parents will not feature prominently is great news. Their contribution to the previous films was an embarrassment, and their absence will be truly welcome. The recent trailer hinted at some back story that actually ties in with real world history. I was a bit put off by this at first, but it does suggest that effort is being put in to making the storyline a little more palatable and relevant. Aintitcool.com recently posted a review of an early cut of the movie, which you can read here. I didn’t read it myself, but have seen some comments around it, which amount to Dark of the Moon being the best of the series. You know my feelings on the last movie, but I was not really a fan of the first film either. It had some good moments, but there was far too much puerile humour, a nonsensical storyline and some very poor plotting. It was passable, and my only motivation to go to see the 2nd movie was a hope that it would improve on this. If Dark of the Moon is really the best of the series, it will be watchable at least, and if more care can be given to the editing of the action scenes it should be an enjoyable romp. Whether it can reach even headier heights remains to be seen. As I said, some great actors have been cast, but having seen what Turturro has been reduced to in the last two, this is no guarantee. Dropping Megan Fox initially seemed a step in the right direction, particularly when the likes of Carey Mulligan were rumoured for the part. The casting instead of a model with no acting experience, Rosie Huntington-Whiteley is considerably less reassuring. LaBeouf also remains present, and though many have talked up his work recently, particularly in Wall Street 2, I remain unconvinced. Maybe if the character has matured in the script, the actor’s performance will be able to also. That is yet to be seen. The introduction of 3D is also a bad omen, as the format has not had a very good pedigree post-Avatar. This entry was posted in Articles, News and tagged 2011, autobots, blockbuster, casting, dark of the moon, decepticons, michael bay, movie, news, shia labeouf, transformers, transformers 3, updates. Bookmark the permalink. I actually enjoyed the 1st movie, but I am with you on the second one, it was such a boring, overly chatty piece of rubbish that it turned me off of it altogether (although my son wanted it on DVD), the humour was appaling with way too many people trying to be “funny”, I agree with your sentiments about John Turturro as well. Will I see the 3rd? yeah ill rent it, but would I pay good money to go to the cinema… hmmm not sure about that one as yet.